Pregnant women are subjected to some of the risk factors which they may develop either before pregnancy or during pregnancy. These complications generally affect the woman and the baby. Some of the serious complications that might be developed during pregnancy can be dis-located placenta and also placental abruption. Also women suffering from over bleeding undergo the risk of either getting shock or even they might face death during delivery. Obese, short women have more chances of suffering from complications during pregnancy and childbirth. It is recommended that women consult their physician and consider taking up mild to moderate exercises to keep them healthy and fit. Women who are under the age of 15 and above 35 are more at risk too. Younger mothers are more prone to be associated with pregnancy complications such as preeclampsia, under weight babies and pre term babies. 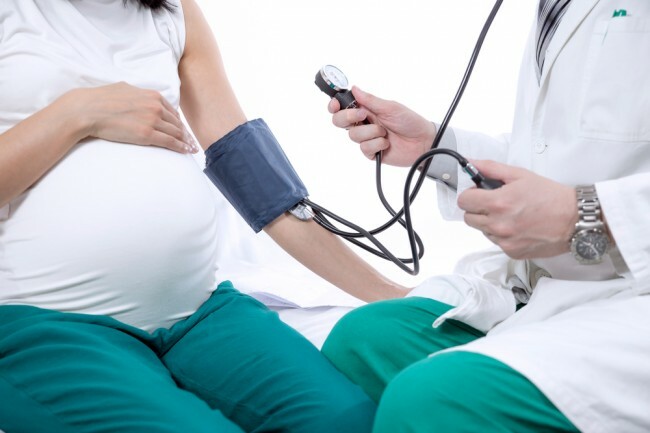 Older mothers (above 40 years) have the risk of suffering from health complications such as hypertension,gestational diabetes and they also have a higher risk of giving birth to babies that suffer from genetic disorders and birth defects. Avoid eating out: especially during the rainy season because a stomach bug may lead to loose motions, which can lead to complications. During pregnancy, your immune system is weakened, which makes it harder for your body to fight off harmful food borne microorganisms that cause food borne illness. If left with no choice, when you eat out, look at your surroundings before you even sit down. If it’s not clean, you should consider eating somewhere else. Also, make sure you wash your hands with soap and warm water before eating. If soap and water aren’t available, use alcohol-based wipes or gel formulas to clean your hands. Remember that harmful bacteria can be hidden in some foods on the menu, so pay close attention to the type of food it is and how it’s prepared. When you buy meat, poultry or dairy for home cooking , look for low fat options (get the unsaturated fats your body needs from plant sources like walnuts, flax seeds, and avocadoes). Trim all fats and skins and broil meats and fish so that the fats drain away. Avoid frying, which will lock in the contaminants. You can also do your body a favor by reducing how much meat you eat. Making even one vegetarian meal a week can make a big difference. Avoid extra weight gain: Keep weight of your body under control as extra weight gain can lead to complications because obesity can lead to various health complications. The best advice is to eat ‘everything in moderation’. 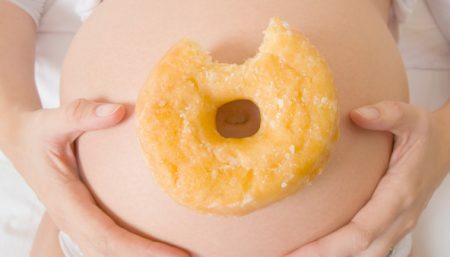 There’s no one-size-fits-all approach to pregnancy weight gain. How much weight you need to gain depends on various factors, including your pre-pregnancy weight and body mass index (BMI). Your health and your baby’s health also play a role. Excess weight carries risks – such as gestational diabetes and high blood pressure – pregnancy isn’t the time to lose weight. Even if you’re overweight before pregnancy, it’s important to gain a healthy amount of weight during pregnancy. Avoid contamination of the flu virus: If someone in the family or friend has the virus, then avoid contact with them until the virus is no longer present. Although this advice cannot be applied to a woman living in the same house as those suffering, early treatment of those with the flu will reduce the time the virus is present in the household. Complications of the flu during pregnancy make it difficult for a pregnant woman to take the regular flu-relief medications that other people would take to ease the symptoms. Although a decongestant medication is favorable for nasal congestion, this medication is not recommended for use during pregnancy, particularly in the first trimester (0-12 weeks). Pregnant women are advised to avoid decongestants because there is no evidence or research to conclude these types of drugs are safe during pregnancy. 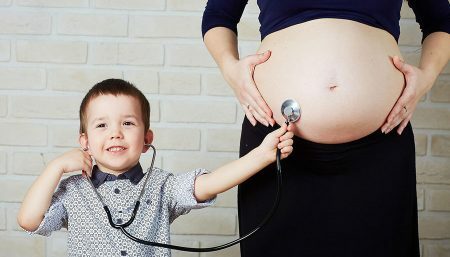 If your job requires you to participate in these types of activities, your health care provider might suggest that you perform a different type of job throughout your pregnancy or take early leave. Be sure to discuss your options with your employer and HR department. Get smart about plastics: Some plastics cause dangerous pollution during manufacturing and some contain chemicals suspected of causing harm – especially to developing fetuses. Avoid those numbered 1, 3, 6, or 7 (PC). These resin codes are typically on the bottom of an item in a triangle of arrows. When using any plastic, be safer by not using in the microwave or with hot food (the heat promotes leaching). Discard or stop using for food and beverages when the product begins to have signs of wear and tear. Also, ban the can. Canned foods and beverages are lined with a plastic resin that contain bisphenol-A, a hormone-disrupting chemical. Many manufacturers are beginning to explore safer alternatives, but in the meantime you should choose foods that are fresh, dried or frozen or packaged in glass jars. Skip the single-use bottled water which can be contaminated by the plastic bottle (also less regulated than tap water.) Make an investment in a water filter and reusable stainless steel water bottles. They quickly pay for themselves. Avoid smoking and reduce consumption of caffeine and alcohol during pregnancy: The danger of drinking is very high and so it is advised that any pregnant woman stop consuming alcohol while they are pregnant to have a normal and healthy delivery. It is necessary that any pregnant women stop the intake of caffeine taking into consideration the health of the baby. Also smoking is another serious issue that has to be paid attention when you are pregnant. Smoking is very bad for the baby and it can affect the breathing of both the mother and the baby. Feast on folic acid before conceiving and while pregnant: Sources include dried beans and peas, citrus fruit, spinach and broccoli. Adequate folic acid early in a baby’s development helps prevent neurological defects, such as spina bifida. Note: too much folic acid may pose it’s own risks, so talk with your doctor about how much you need. The study, which involved 7,000 working mothers, suggested that women who work at high-stress jobs try to cut down their working hours to only 24 hours per week. Test for lead while planning your pregnancy: Lead is a potent neuro-toxicant that is stored in the bones and can be passed to a developing baby through the placenta. Test your paint if your home was built before 1978. The US Environmental Protection Agency maintains a list of certified labs where you can send paint samples. Removal of lead paint must only be done by a professional and pregnant women should stay away from the area until it is thoroughly cleaned. Test your tap water for lead and talk to your doctor about having your blood tested for lead.